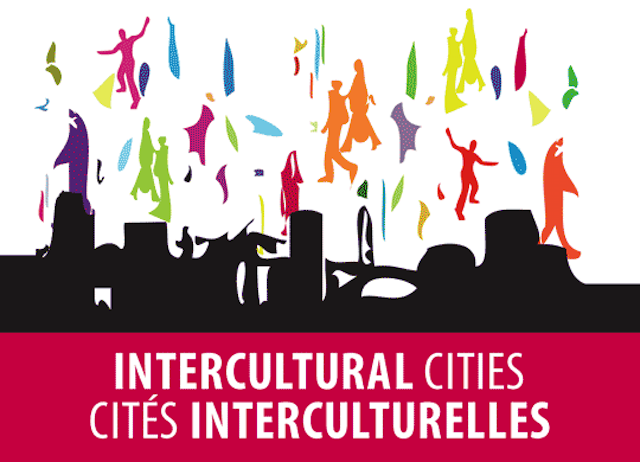 Screenshot: Banner of the Council of Europe Intercultural cities programme. The United States, Hungary, Poland, Turkey, Italy, the Philippines … and shortly Brazil: radical-right populists are now in power in big and powerful states around the globe. ‘Brexit’ was a conjunctural victory for them in Britain which they hope to render permanent by ensuring the UK leaves the European Union – however unpopular that may become and at whatever cost. But there is an alternative current of progressive opinion, which has been slowly gathering under the political surface since the political shocks represented by the September 11 attacks in the US in 2001 and, at the end of the last century, the brutal collapse of former Yugoslavia. And it is no coincidence that it should be from the pan-European institution established after the war to say ‘never again’ to aggressive nationalism, anti-Semitism and all forms of intolerance, the Council of Europe, that this new paradigm, of ‘intercultural integration’, should have emerged. 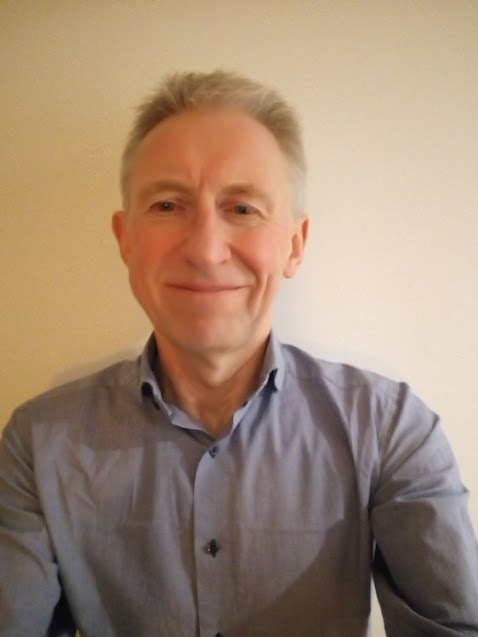 I have (among others) been an expert adviser to the Council of Europe since this initially intellectual, subsequently policy and latterly practical work began. 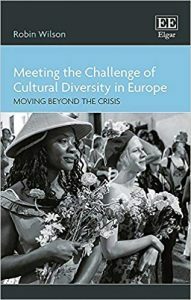 And I have written up this process of institutional learning in a new Edward Elgar book, Meeting the Challenge of Cultural Diversity in Europe: Moving Beyond the Crisis. As I wrote it, however, I found I was writing too about the populists, as the other side of the political coin. For while the populists all rehearse a collective narcissism – claiming to defend their purportedly superior ‘nation’ against its enemies abroad and its traitors within – intercultural integration can be distilled in essence as the inclusion of the other within the self in a society open to the world. And it is surprising how straightforward it is for progressives to reset the political agenda, once they grasp this opportunity. For, far from ‘making America great again’, Donald Trump is defying the history of how the twentieth century became The American Century – in the words of the book by the former campaigning Sunday Times editor Harold Evans – built on the foundation of the Jews who fled pogroms in Russia and eastern Europe to create world-beating Holywood’s white-picket-fence American idyll and, with African-Americans, fused musical forms into the modern apogee of jazz. Their exiled successors of many countries were to be instrumental in the rise of Silicon Valley, or how Californian corporations took over the world (for ill as well as good). And, just as ‘Steve Jobs’ was the son of a Syrian refugee, Trump’s grandfather, Friedrich, Americanised his German surname, Trumpf. Not only is populism economically self-harming – as the Brexit imbroglio is showing in spades, exciting the largest demonstration since the Iraq war in London last weekend – but also cultural openness can play better than closure if progressives have the courage to reframe the public conversation. Yes, about half of respondents in an eight-country pan-European survey published in 2011 agreed there were ‘too many immigrants’ in their country. But more agreed that immigrants ‘enrich our culture’. Indeed, the movement of people is inevitable in a globalised world and trying to stop it can only be at the cost of huge loss of life (as in the Mediterranean) and blocked encampments, as Ai Weiwei has portrayed so movingly in his panoramic documentary Human Flow. Moreover, socially, it is not hard to see why the rise of the far right began in the early 1980s, when the postwar Keynesianism which banished the mass unemployment of the 1930s was abandoned in favour of the secular fundamentalism which is neoclassical economics – at the cost of ever-greater insecurity, culminating in the crash of 2008 and its aftermath. A study published in 2016 of voting for European Parliament elections showed support for the far right was not correlated with unemployment per se but was so correlated where unemployment benefits were low and where this was not mitigated by effective employment-protection legislation. The embrace by the once-mighty German SPD of the ‘Harz IV’ labour-market ‘reforms’ thus contributed in no small measure to it having been overtaken in the polls by the far-right AfD in recent weeks. And while there has certainly been a ‘moral panic’ about refugees and about security in recent years in Europe – the one often presented by the populists as linked to the other – in fact Europe has been here before. The number of refugees has been comparable to the ex-Yugoslav exodus and greatest hostility has been evident in those countries (such as Hungary) which have put up fences rather than those which have shown basic humanity. And while Islamist and far-right atrocities have been horrific, the incidence of politically motivated violence in Europe today is well below that of the 1970s ‘years of lead’ – most obviously in Northern Ireland. Albert Gleizes, 1915, Composition for Jazz. 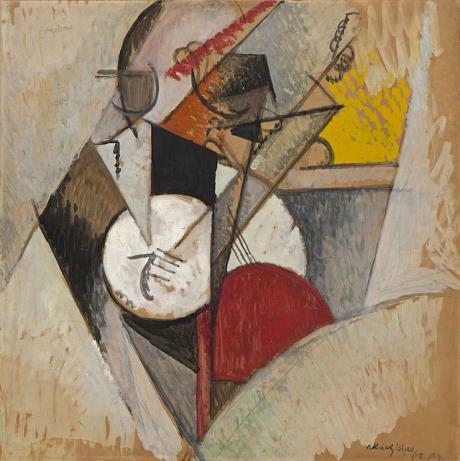 Wikicommons/Solomon R. Guggenheim Museum, New York. The white paper went on to specific the concrete policy implications of this. In education for example, this entailed an impartial approach to the teaching of history, rather than national self-glorification; teaching of the world religions, rather than inculcation of a particular faith; and multilingualism for communication with others, rather than drilling in an official language and/or segregating mother-tongue alternatives. The document advocated that states develop national intercultural integration plans, for which a template has now been developed. But it also highlighted a Council of Europe programme, Intercultural Cities, initiated in 2007 and now garnering 126 cities, mainly in Europe but extending to every continent. It has been in and through the ICCs programme that the new paradigm has been trialled by the member municipalities on the ground. While it has been positively evaluated, its rapid expansion – including cities such as Paris and Barcelona – has been testament to its compelling success. A huge volume of good practices have already been gleaned from it. What has attracted so many cities to join the ICCs network has been what has come to be called the ‘diversity advantage’ – the experience that, if well managed, diversity is to a city, to a state or a continent, an asset to be exploited rather than a threat to be kept at bay. Prosperous and comfortable Oslo, for instance, one of the top performers in the ICC Index, locates responsibility for its intercultural work in its business-development section. The municipality is conscious it is trying to attract specialist labour which could go anywhere in the world. The fastest growing city in Europe, its residents stemming from more than 150 countries, it sustains an ‘Oslo Extra Large’ PR campaign, linked to a diversity charter firms are encouraged to embrace. One third of its population is of immigrant origin – a ratio almost exactly matched among the councillors elected to run the city. So there is a potentially hegemonic alternative to the populists. Antonio Gramsci conceived hegemony as ‘intellectual and moral leadership’ and it may be political science but it certainly isn’t rocket science. 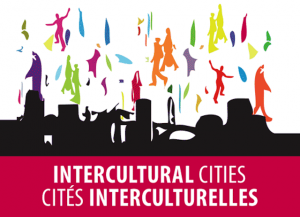 The intercultural approach makes sense in policy terms and in practice on the street. It is capable of building broad, cross- and non-party coalitions in favour of widely accepted social goals such as prosperity, tolerance and humanity. Recent work on the populists, such as by the leading expert Cas Mudde, has emphasised that they have thrived not just because there is a ‘demand’ among those vulnerable to their appeal but also because of the parties’ own effective self-promotion. It has been the deficit of political will on the progressive ‘supply-side’ – not the audience for an alternative – which has hitherto been lacking.